The ALT-186G2 is a highly versatile alternator testing platform that can be configured to serve for various testing purposes: from lab to production, from high speed to heavy duty. Thank you for your interest in the ALT-186G2. Please fill out the form below so we can send you the brochure. Thank you for your interest in the ALT-186G2. Your request has been submitted to our sales department, and we will get back to you soon. 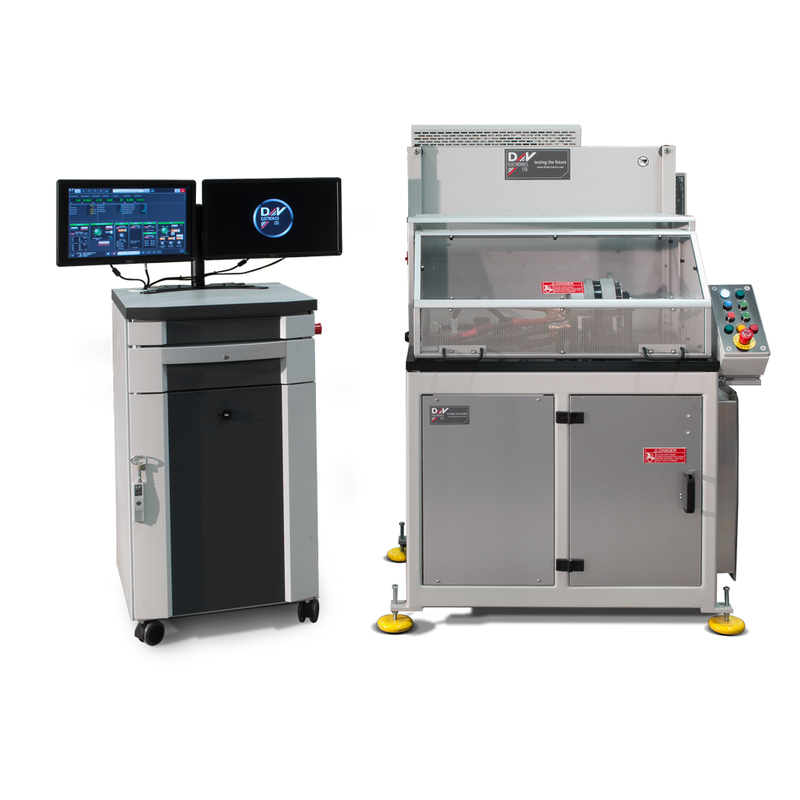 The ALT-186G2 provides precision testing of a large variety of alternators via the D&V latest generation of hardware and software platform with high level of customization. Measures over 100 different alternator parameters. The ALT-186G2 series is also energy efficient: reuses the energy from the tested alternator via regenerative load bank. User configurable Pass and Fail printed reports and labels via MS Excel based report generator for virtually unlimited flexibility, includes performance curve, oscilloscope pattern, test results and much more. Checks all types of alternator and voltage regulator terminals and functions such as computer control, soft start delay, soft start protection, feedback, under/over voltage indication, PCM control, load response control, tachometer frequency and more. The ALT-186G2 also measures turn on speed, ripple current, stator balance, pulley size, input power, voltage regulator instability, stator voltage, alternator leakage, can test rectifier voltage drop, regulator saturation voltage, and (optional) torque & efficiency. Advanced regulator control by simulating RC and RVC signals, also LIN, BSS and CAN interfaces. User programmable test procedures via script engine. Optional torque and efficiency measurement directly on the shaft of the alternator. Optional sound and vibrations measurement accompanied with intelligent software for various types of analysis. Endurance test mode for component validation. Test result statistics can be recorded for SPC or analysis. Temperature compensation for all test results. Includes universal harness and regulator test plugs for popular applications. Built-in calibration and diagnostic utilities. The table below shows the most popular configurations.